Install electrical heating with TriStar! At TriStar Electric, we’re looking forward to the changing season. School is back in session and the prospects of autumn are upon us. Rather than waiting until the cold sets in, we urge that you take a few hours from your day and make sure that your heating unit is prepared for the winter chill. 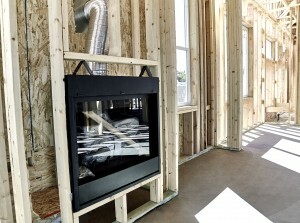 For those of you still deciding on an efficient way to heat your home or specific rooms in your home, TriStar can help. We offer installation for many different types of heating. We’ll meet with you to determine which kind would be the best fit for your needs, and then we’ll get to work. Electric baseboards add warmth to your bedroom, living room, or other frequented area in the house by using convection to circulate air. Baseboard heating is virtually silent, so you and your family can enjoy relaxing, reliable heat. We offer forced air electric heaters for garages. Stay warm in working on the car or sanding the bathroom door with this accessible form of heat. The perfect heating unit for a smaller space, wall or ceiling mount forced air heaters are perfect for your hallway or bathroom. Electric floor heating systems for tile and stone floors are becoming a more popular form of heat. They deliver radiant heat to naturally cold stone and tile surfaces, transforming them into soothing warm floors. TriStar can figure heating to any existing floor design, so there’s no need for a complete remodel if you’re looking for tile heating. TriStar will schedule a meeting with you in order for us to completely understand your heating and design goals. We’ll conduct a thorough review of your home, and take particular consideration into the project areas. We will also inspect your electrical system to determine how well it will do with the new additions. We’ll write up a thorough and detailed proposal for you and give you enough time to look it over and formulate any questions you may have. Once everything has been agreed upon, we can order the equipment and get to work installing it. Everything will be tested once and tested again to ensure the safety of your home and functionality of the equipment. We’re here to make sure you’re warm all winter. The weather may still be mild in Maryland today, but preparing for the changing season now will save you time and any unnecessary stress. If you have any questions about Electrical Heating please contact TriStar Electric, Maryland’s premier residential and commercial electrician, by calling 410-799-5791 or 301-384-8880 or fill out the contact form on our website. Our electricians can provide you with a competitive quote that covers every stage of the process – from installation to final testing. This entry was posted on Friday, September 16th, 2016 at 9:09 pm. Both comments and pings are currently closed.